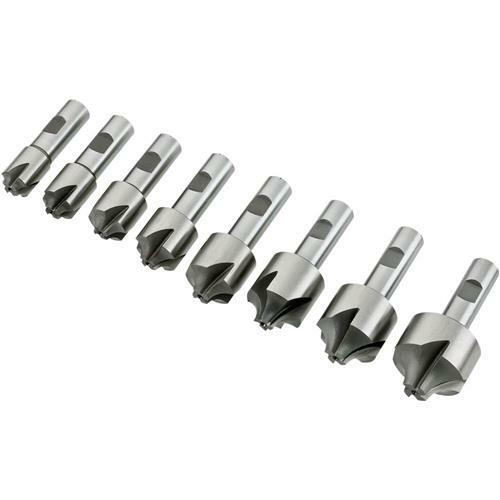 This M2 high speed steel Corner Rounding End Mill Set includes 3/16" radius, 1/4" radius, 5/16" radius, 3/8" radius, 7/16" radius, 1/2" radius, 5/8" radius and 3/4" radius end mills. All sizes have 3/4" shanks. These end mills can be re-sharpened many times without changing the radii. Includes wooden stand.